Afghanistan's principal governmental research organisation, the Academy of Sciences, has its roots in the Association for the Advancement of the Pashtu Language (De Pashto Adbi Anjuman), set up in Kandahar in 1932 by soldier, politician, poet and writer Mohammad Gul Khan Momand (1885-1964, known to Afghans as 'Pashtun Baba'). The initial aim of the Association was to conduct linguistic and literary research and publish scholarly works in Pashtu. It published the first Pashtu-language magazines, Pashtu and Da Mualim Pashtu, and also translated the Farsi-language magazine Thalo-e-Afghan into Pashtu, as well as publishing books on the teaching and learning of the Pashtu language. The Association continued functioning in Kandahar until 1935, when it was transferred to Kabul. In 1937, it was replaced by the Pashtu Academy (Pashtu Tolana), which was set up with royal patronage and managed by the scholar Abdul Hai Habibi (1910-1984), who also founded the University of Kabul's Faculty of Language and Literature. In subsequent decades, the Academy acquired additional Departments of Dari, History and Archaeology. By the 1960s, both the Academy and the University of Kabul benefited from well-resourced library collections which afforded researchers access to contemporary global scholarship. An English-Pashtu Dictionary, compiled under then Director-General Abdur Raof Benawa, was published in 1975. After the Soviet invasion of 1979, the Academy received additional funding from the Soviet government and was re-named the Academy of Sciences while acquiring an additional Department of Natural Sciences. Library usage and academic research declined in the 1980s, along with many aspects of the Afghan education system. In 2001 the Academy of Sciences was re-established as a key national research agency under the control of the Office of the President. The Director of the Academy has the same status as a Minister, and is appointed by the President. The Academy of Sciences currently has three research divisions: (i) Humanities – comprising Social Sciences, Language and Literature, the Ariana Encyclopaedia of Afghanistan, and International Pashtu Language Research and Archaeology of Afghanistan; (ii) Natural Sciences – comprising Agriculture, Biology, Chemistry, Geology, Mathematics, Medicine, Physics and Technology; and (iii) Islamic Studies – comprising Qur'anic Studies, Hadith, Fiqh and Law, as well as Sufism and Beliefs. (v) ensuring regular communication with academies of sciences and scientific/research entities abroad at both regional and international level with a view to keeping abreast of recent global developments and achievements in science, technology, humanities, nature and Islam and applying these developments and achievements in Afghanistan, securing foreign financial, technical and moral assistance for Afghan scientific-research projects, exchanging experience and enhancing the professional skills and capacity of Academy staff. In recent years one of the Academy's main projects has been the eight-volume Ariana Encyclopaedia of Afghanistan, the first national encyclopaedia in both the Dari and Pashtu languages. In recognition of the central role which scientific research can play in the future development of the Afghan state, funds have been set aside under the Afghanistan National Development Strategy (ANDS) for 2007/8-2012/13 for new premises and equipment. There remains, however, a need for investments in developing the skills of Afghan researchers at all levels. The Ministry of Information and Culture incorporates two heritage research institutions - the Afghan Institute of Archaeology and the International Centre for Kushan Studies - while also operating the Islamic Studies Research Centre. Quality of research is closely linked to standards of higher education, and at present all of Afghanistan's universities are severely under-resourced. 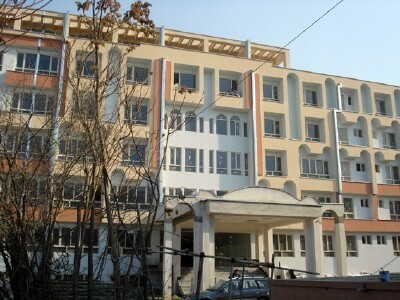 Facilities affiliated with the universities address some of the needs, such as the Centre for Policy and Human Development (CPHD), the National Centre for Policy Research (NCPR) and the Afghanistan Centre at Kabul University (ACKU) located on the premises of University of Kabul, and the Darah Association Afghanistan - Clay Building Research Centre attached to the Kabul Polytechnic University Faculty of Construction. Independent non-government institutions include Afghanistan's Centre for Research and Policy Studies (ACRPS) and the Afghanistan Research and Evaluation Unit (AREU), both of which rely on international funding to conduct independent research on critical issues. Use the navigation bar on the right to make direct contact with organisations and individuals working in the research sector.